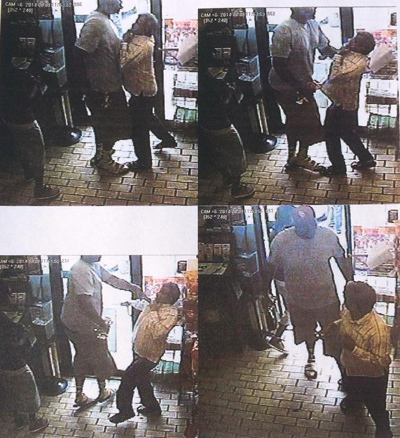 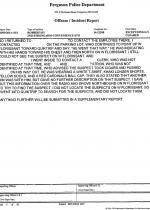 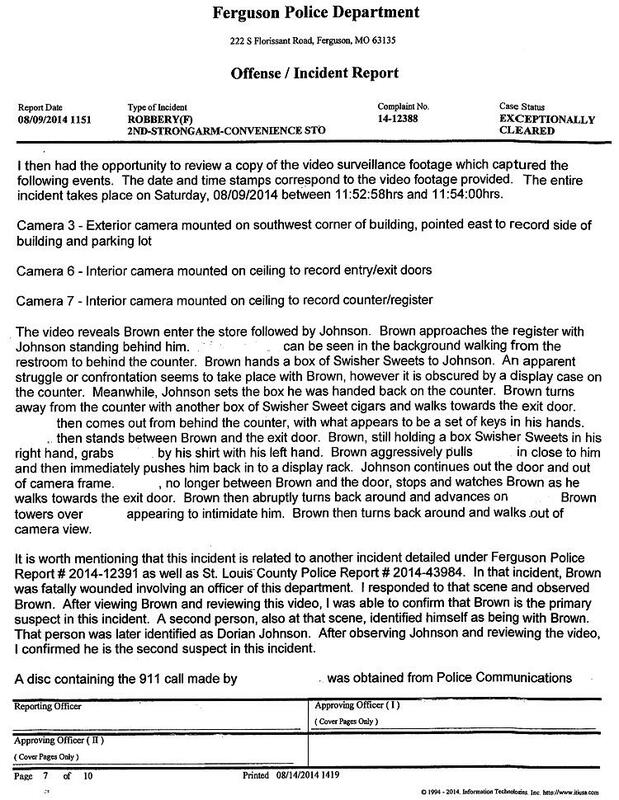 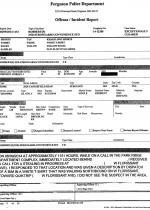 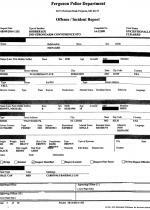 AUGUST 15--This is the Ferguson Police Department report that names Michael Brown as a suspect in a strong-arm robbery that occurred minutes before the Missouri teenager was shot dead last Saturday by an officer who had confronted him and a friend as they walked in the street. 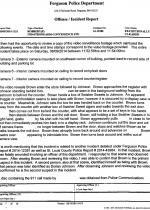 The document was released this morning by police who also identified Officer Darren Wilson as the cop who killed the 18-year-old Brown. 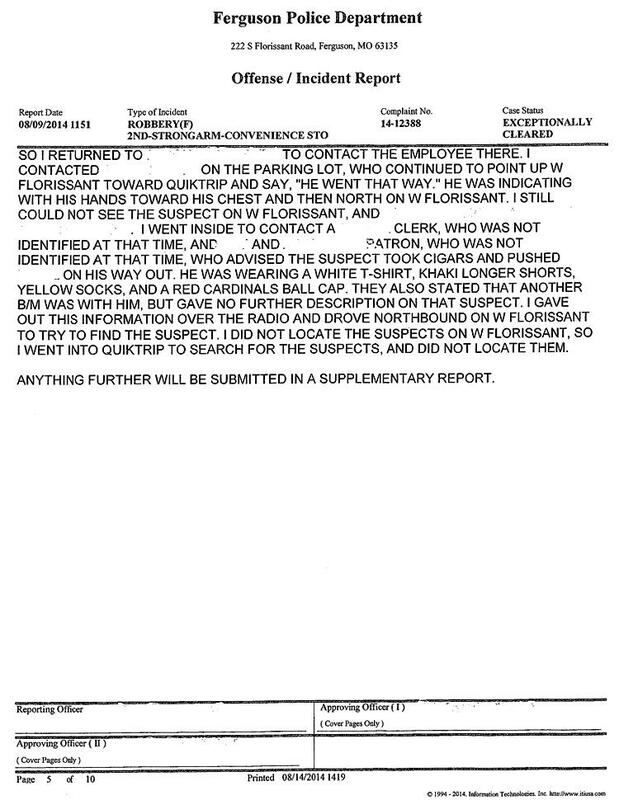 As seen in store surveillance stills (seen above), the man identified by cops as Brown struggles with a worker who sought to lock the store before the men could leave with the stolen merchandise. 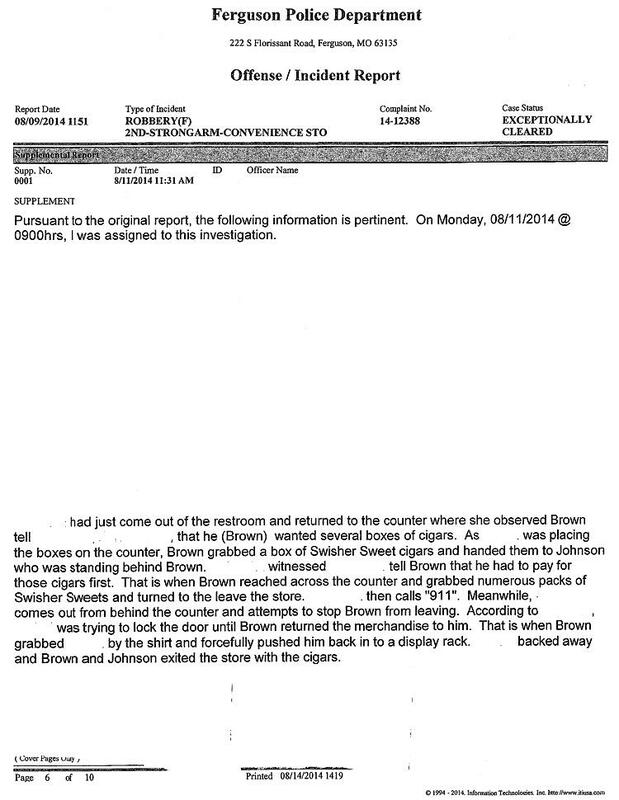 The confrontation between Brown and the employee lasted about one minute, based on time-stamped videos. 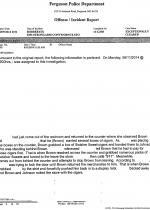 Johnson, police say, will not be charged in connection with the felony robbery, and the report notes that the case has been “exceptionally cleared.” Johnson, who has been interviewed by FBI agents and local police, has admitted to investigators that he and Brown took the Swisher Sweets from the market, according to Freeman Bosley, Johnson’s lawyer. 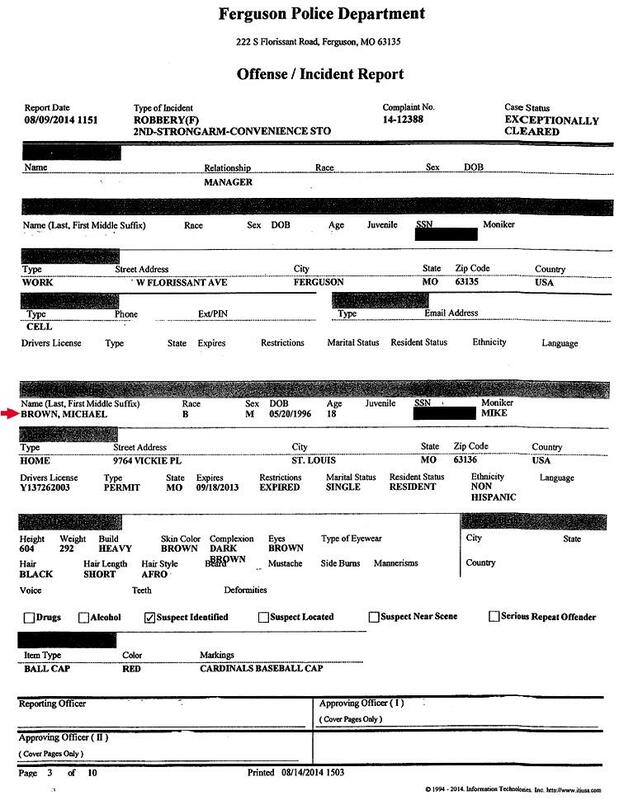 Though police have redacted the name of the business where the robbery occurred, it appears to be the Ferguson Market & Liquor store on West Florissant Avenue. 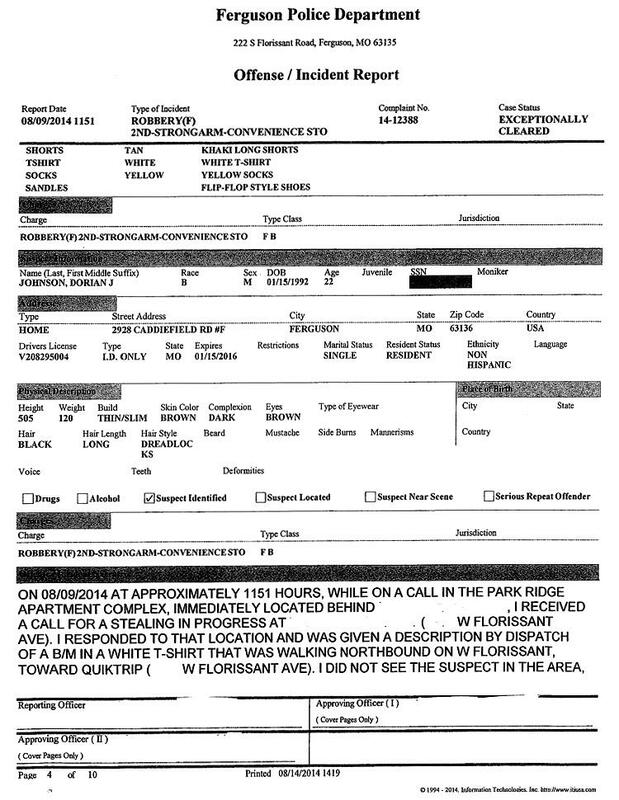 The store manager--whose name was also removed from the document--told responding officers that the suspects left the market and headed northbound on foot. 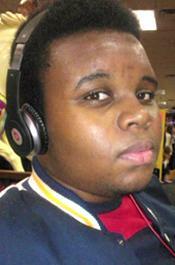 Brown was shot to death on Canfield Drive at Cooper Creek Court, about half-a-mile northeast of the market.